It’s impossible to deny that some of the most pressing issues currently facing humankind are the effects of man-made climate change and environmental degradation. For centuries it’s been recognised that there’s a direct link between the health of our planet and our own well-being. Numerous ancient civilisations celebrated and cherished that inter-dependence. Today, the relationship is under extreme duress. However, the University and its alumni are helping repair the bond. As part of the Planetary Health Alliance (PHA) - a consortium of universities, NGOs and others - we are seeking to balance human needs with the preservation of the Earth to sustain the health and well-being of future generations. Planetary health isn't just about large scale activities. It is also about personal commitments. We invite you to join our drive to improve planetary health by making a pledge of your own. They may seem like small gestures when taken by themselves, but with an alumni community of over 200,000 people based in almost every country and in every walk of life, we are all part of the solutions. One person or pledge alone cannot tackle climate change, but they can be the start of something huge. To make things a bit more interesting we have organised pledges by decade of graduation. Ensure your decade is well represented in the Edinburgh Alumni Planetary Health Commitment league table by signing up to take action now! 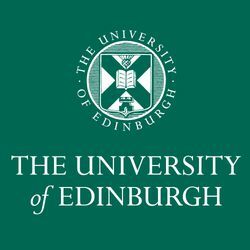 The Edinburgh Alumni Planetary Health Commitment is also being taken forward by a number of our alumni clubs and networks. Read more about how alumni in Chile, Colorado and Shanghai are hoping to change behaviours and influence their local communities. You can show your support for our clubs by making a pledge.